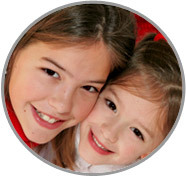 ABC Nanny Source can help you find your perfect DC Before School Nanny today! A DC Before School Nanny like Tori can keep even the busiest families on track in the mornings! "I am a person who believes that education is a very important part for children of all ages, especially toddlers. I am easy going, tenacious and caring. If I was asked to describe in one sentence the reason I have chosen to be in the Nanny profession over any other it would have to be because I love working with children and want them to receive the best care that I have to offer them. I have been serving in some form of childcare experience for over 15 years and can honestly say I love what I do! I feel children are what we instill in them to be. If we believe in them, then they will believe in themselves and accomplish whatever they set their minds on. My goal as a DC Before School Nanny is to care for children and help prepare them for success! I am willing to do housekeeping that includes laundry, housekeeping and some light cooking. If I had to describe myself in five adjectives I would say that I am caring, sensitive, tenacious, dependable, and a leader! Activities that I would like to incorporate in the daily plan for the family I care for would include reading time, going to the playground, and day trips (zoo, aquarium, etc.). If asked to describe the perfect family seeking a Nanny like me I would hope they would be open and honest." "Tori briefly worked under my supervision. Since that time, we have become friends. She has even cared for my children when I have been in need of assistance. She is exceptional at keeping even the most unruly children in check. They adore her and honestly I don’t know what I would have done without her at times. Children seem to connect with her effortlessly and I admire her childcare abilities so much. Overall, Tori is a good person who works well with children. I absolutely recommend her." "Tori fulfilled all job requirements! Tori did great over all! I would come home for lunch breaks and my son would be smiling and so happy. At my request, she also had her son here at the house sometimes and they interacted well; I think my son enjoyed that! Tori and I been friends ever since. I've never had any problems or issues with her being respectful of my home or giving my son the best care she can. Tori would always give me a very detailed report at the end of the day what my son did! She is exceptional and I cannot think of a better suited DC Before School Nanny for any family." "We think of Tori as a part of our family, not just a DC Before School Nanny; I have known her since she was nine years old. There have been several occasions when Tori has provided care for my two younger children along with my grandchildren. She cooked and cleaned our home and assisted with doing laundry on occasions. She is a very interactive and creative person; I would highly recommend her to your family!" "Tori was very passionate about working with my children. She is honest, reliable and skilled in cooking, cleaning, and tending to the child’s needs. I was satisfied and very impressed with her services. Due to financial hardships I was no longer able to retain her as a childcare provider. However, I would highly recommend her for any family!"